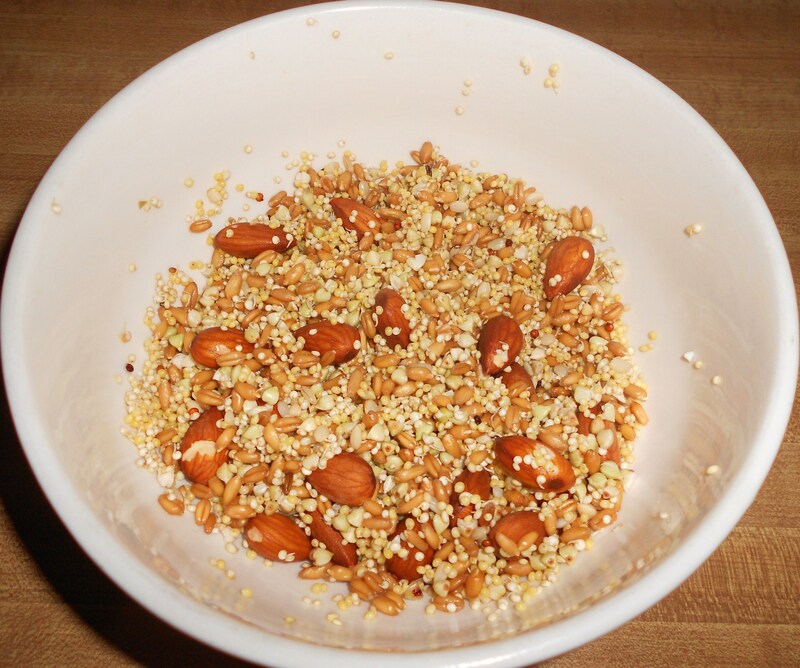 Soaking or sprouting seeds and grains are an easy way to provide your parrot with fresh live food that is similar to what they would be eating in the wild. All birds, from finches to macaws benefit from and enjoy eating these. There are different sizes and types available for every size of bird. By soaking dormant seeds they germinate and are brought back to life again. 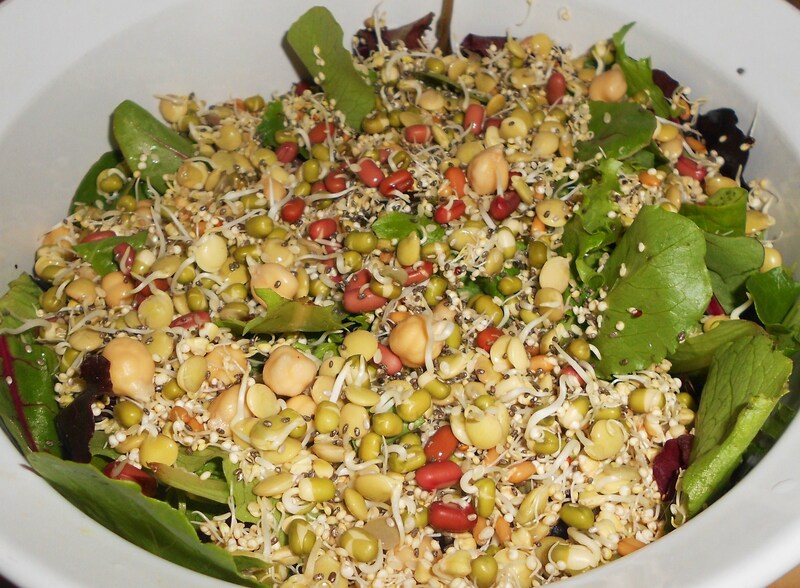 Sprouts are like little vegetable plants packed with antioxidants, vitamins, minerals, essential amino acids and protein. Did I mention that not only is this one of healthiest additions to your parrot’s diet, but it’s also one of the least expensive too? Start easy, seeds and grains germinate and are ready to eat after just a rinse and overnight soaking. You can also continue to repeatedly rinse and drain them for a day in order to sprout root tails on them. 24 hrs. later: The quinoa is already fully sprouted and ready, lentils are starting to sprout. The rest will take a couple more days. I must add that soaked almonds are a really special treat and it might be difficult for you to stay out of them yourself. I could never eat a plain dry almond again after having them soaked. Just soak overnight, rinse in the morning and they are ready to eat. They are fantastic, really, try it! Buy your seeds and grains from a health food store. Human-grade organic ingredients are safer, fresher and much better quality. Just use a very small amount at a time. A little spoonful of seed goes a long way, and you want to make small amounts so you use them all up quickly when they are fresh and most nutritious. Start by inspecting for any damaged broken seeds and toss them out. Put your seeds into a strainer and give them a good washing by running lots of fresh water through them. The fine mesh stainless steel strainers work really well. Now put them in a clean glass container with plenty of cool fresh water. They will expand so add enough water to cover them completely. Soak for 6 to 9 hours. I prepare them just before bed and they soak overnight. The next morning give them a good rinsing and drain them well. You now have nutritious, live, germinated seeds. That’s it, it really is that simple. 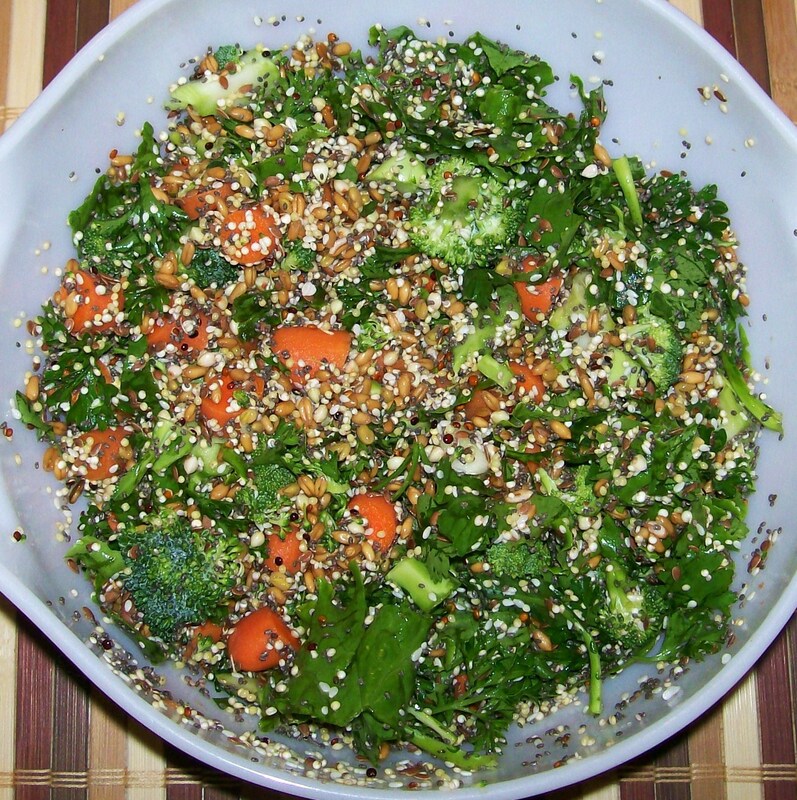 Grains and seeds can be fed after just a simple soaking that bring them to life. You may also choose to let them grow just a little further until they visually sprout. Rinse and drain very well at least three or four times a day until you see little buds of white sprout tails. This usually takes a day, maybe two. Of course you can also toss some onto your own salad, sandwich or wrap. They are good in baked breads and in soups too. Just save some for the birds this was supposed to be for them. You can just use plain glass jars or bowls. Small mason jars work well. Glass is preferred over plastic, since glass can be cleaned and sanitized thoroughly. Don’t cover your sprouts, they need fresh clean air during the entire soaking and sprouting process. Also keep them in a cool spot and out of direct sunlight. Be sure to let your sprouts dry out before putting them in the refrigerator so they will keep nicely and stay fresh. Only make what you will be able to use that day or only store them in the refrigerator for a day or two at the most. Most birds will love sprouts even if it is a new food for them. 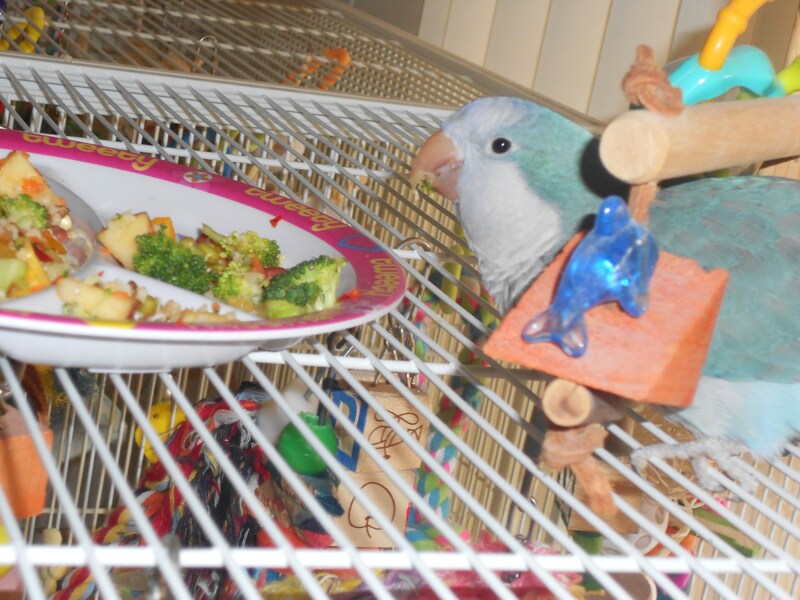 If your bird is stubborn about trying new foods typically your food on your plate is more enticing to them. Share with your bird and eat with them to get them to try new healthy foods. Don’t forget about or neglect your growing sprouts. You’re making fresh live food. You don’t want to grow mold or bacteria in your sprouts. Rinsing very well and draining very well each day is crucial to the well being of your sprouts. Always wash your hands before handling sprouts. Sprouts should smell fresh and earthy, never foul or sour smelling. Toss them out if there is ever any question about their freshness. As an extra precaution you can give your sprouts a rinse with white vinegar or grapefruit seed extract during your rinsing. Or sometimes I spray my sprouts with some apple cider vinegar just before feeding them to the parrots. 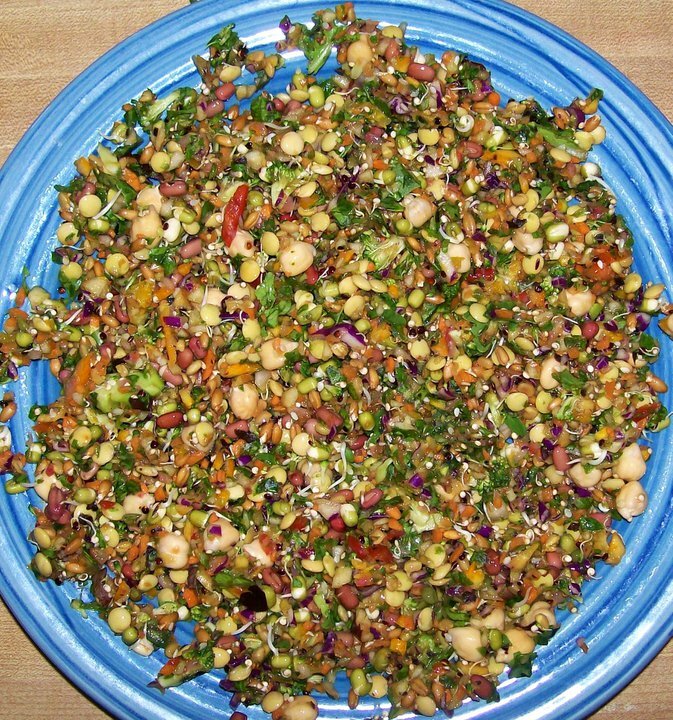 Once you feel comfortable and confident in sprouting you may want to sprout some legumes too. 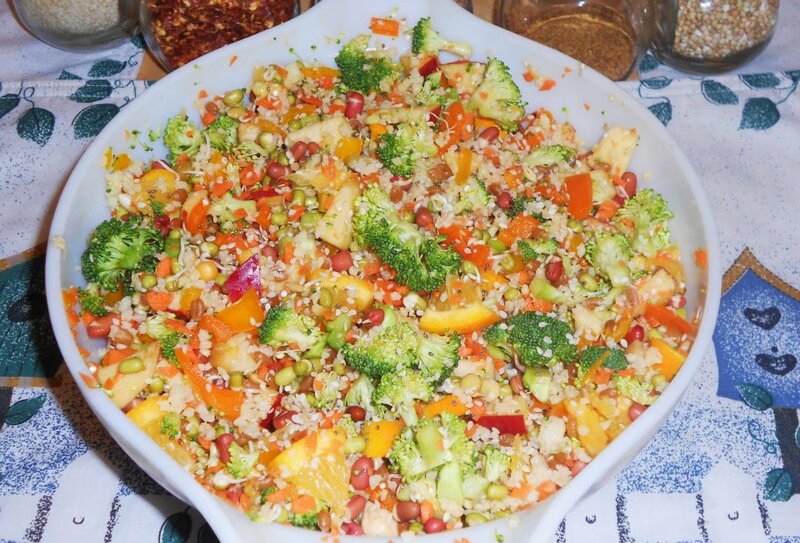 This includes garbanzo beans (chick peas), adzuki beans, mung beans and lentils. Legumes are not safe to eat when raw. You must be sure to sprout them until you see the root tails, this can take three or four days. Also be sure you are sprouting something that is actually safe and okay for parrots to eat. There are toxic beans that should never be sprouted so don’t experiment with something that you don’t know for sure is safe for parrots. Sprout People is my favorite sprouting site. They have a wealth of information and step by step instructions for every kind of sprout. They even have detailed instructional videos. I highly recommend them for anyone who is interested in sprouting. This entry was posted on April 1, 2012 by Elle. It was filed under Uncategorized . 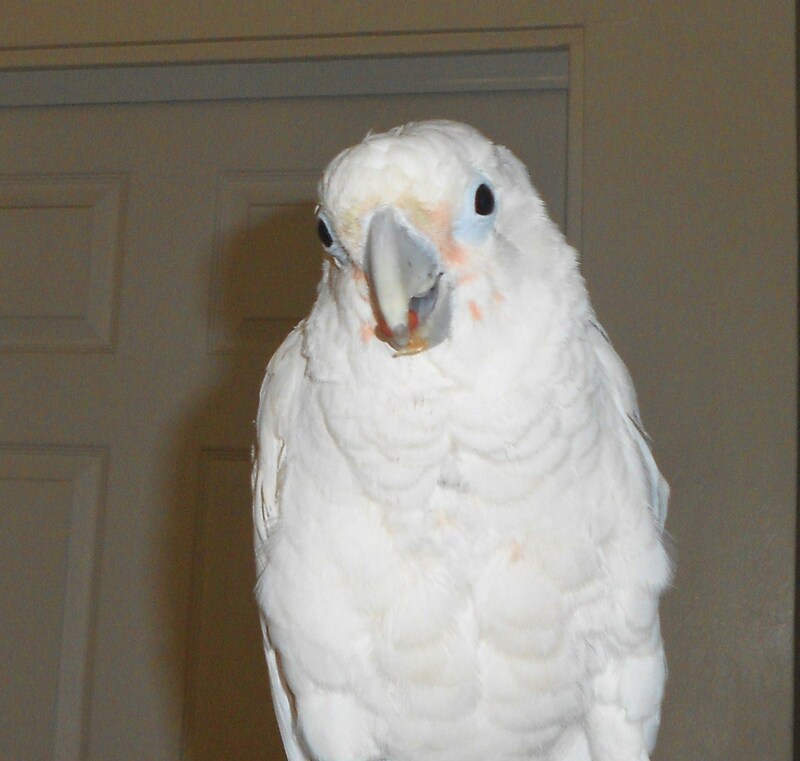 Hi Elle…I had mentioned to my parrot club president that we should do a meeting about sprouts and/or chop. She asked me if I was interested in doing a sprout one in January. I’m already nervous but since I’ve started sprouting and experimenting I think I’ll be good by then. I’d like to share the information you have provided above with the member’s, there would be a link provided on the handout so they can come and look but I wanted to ask your permission to share. Thanks! That is terrific! Please feel free to use the article, there are great links on here too for other great information resources. I’m sure Patricia will be happy to provide information for when you do Chop too. That’s awesome that you are sharing with your parrot club members. Thanks Elle!! We are responsible for our fids care and it’s up to us to do the very best for them. I’ve been interested in it and have been sprouting for a couple of weeks so I thought other’s might be too, At least by January I’ll be an ole pro at it..LOL!! Again ..Thank you for allowing me to share your info with the group and for helping me in my sprouting. Have a great day!